The United Nations Conference on Trade and Development (UNCTAD) has released a study showing that demand for electronic components used in the internet of things (IoT) is driving the value of trade in information and communication technology (ICT) goods. UNCTAD said in a news release that international imports of ICT goods in 2017 reached $2.1 trillion. 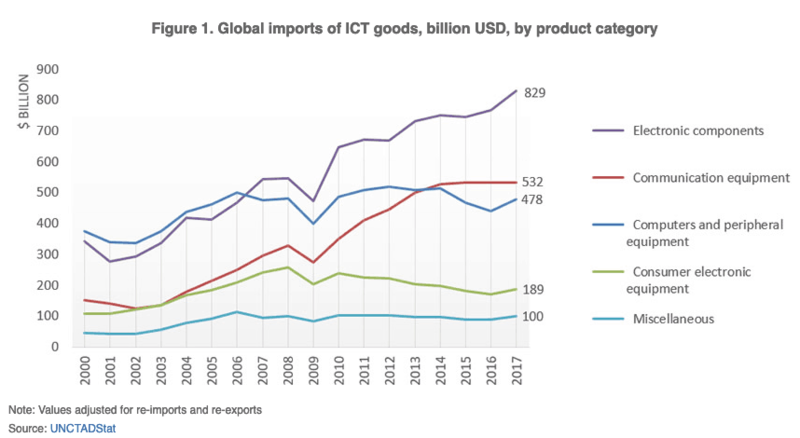 “Trade in ICT goods grew slightly faster than merchandise trade and represented 13.4 percent of the total in 2017, down from the 16.1 percent high during the dot-com boom in 2000 but the highest in two years,” the UN agency said. 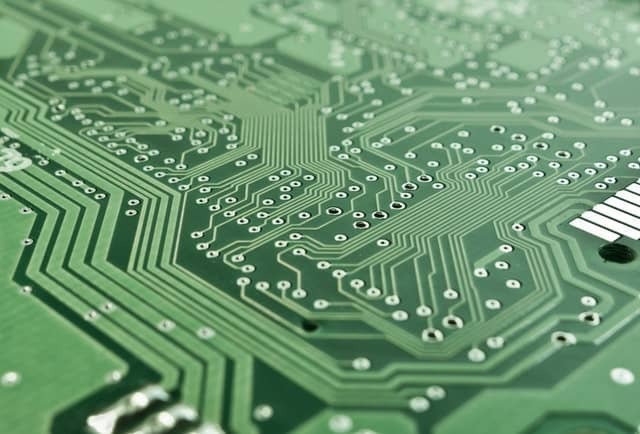 “The expansion of electronic components, which are the basic building blocks of electronic circuits and semiconductors, reflects the fact that more and more products and activities are going digital worldwide,” he said. “Much of this trend can be associated with the advent of the IoT, which has witnessed unprecedented growth since 2015. This trend may be further accentuated in the coming years,” he added. UNCTAD figures show that trade in electronic components continued to expand with an annual growth rate of 8 percent – just below that of computers and consumer electronics (9 percent). As expected, China is by far the largest exporter of ICT goods, but the United States is the top importer. Another key finding is that at 54 percent market share, developing economies import more than developed economies because they have a more significant role in assembling ICT goods and so import significantly more electronic components. “Developing countries also show a stronger preference for communication equipment over computers and peripherals, in line with the implementation of mobile-first strategies. On the other hand, the shopping basket is more balanced between the different ICT product categories in developed economies,” UNCTAD explained.